Product Packaging: Standard Packaging The Bestway Rapid Rider X2 Inflatable Tube is an excellent choice for floatingin a river, pool or lake with a friend. 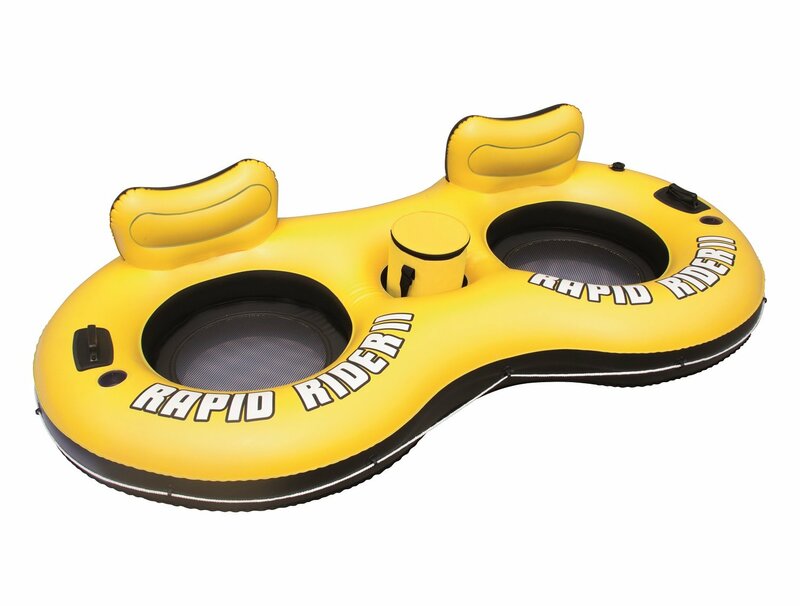 Constructed using durable, high-gaugePVC material, the Rapid Rider is a safe and comfortable choice on the water.This inflatable pool float comfortably seats two people and features a built-in backrest for additional comfort and support, 2 cup holders and a woven meshseating keeps you cool. It also includes a cooler that fits into its owncompartment, allowing you to take along frosty beverages and small snacks. Theheavy duty handles and the all-around grab rope make it easy to mount from thewater. Recommended for adults, this two person pool float with cooler is agreat way to enjoy your time with friends at the pool, beach or lake.